Candidates Should Have Computer knowledge for OIC For Medical & Para Medical Staff. Preference will be given to Ex- Servicemen. 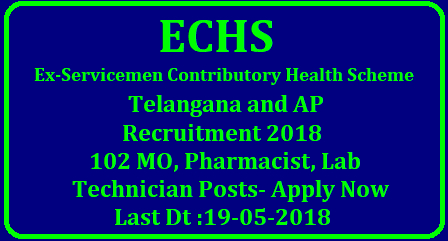 Interested and eligible candidates can download in the prescribed form from website www.tasaechs.in and send their application from on or before 19-05-2018. The Prescribed format along with photo copy of all relevant documents should be submitted to the address mentioned below.